A modern silhouette, this swivel desk introduces sleek style to your home office. 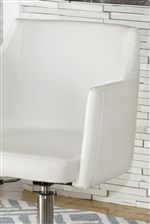 It features a contemporary shape with a curved back and slim arms that is upholstered in white vinyl. Its chrome color finish metal base is adjustable height. It also swivels and rolls on caster wheels for mobility in your work space. 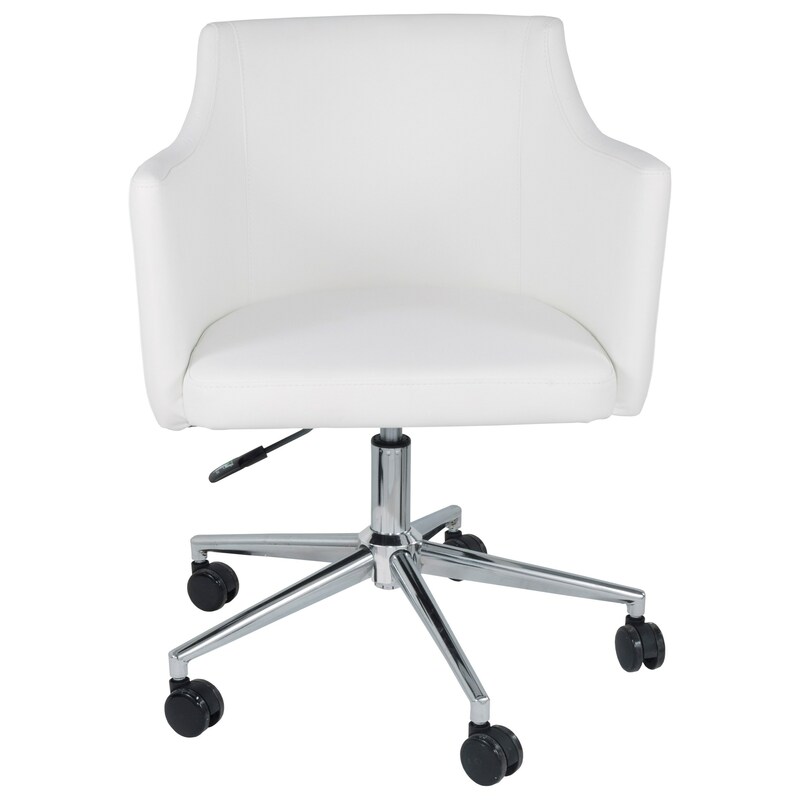 ARM HEIGHT 26 1/2"-30 1/4"
DISTANCE BETWEEN ARMS 19 3/4"
SEAT HEIGHT 18 3/4"-22 1/2"
The Baraga White Vinyl Home Office Swivel Desk Chair by Signature Design by Ashley at Michael's Furniture Warehouse in the San Fernando & Los Angeles area. Product availability may vary. Contact us for the most current availability on this product. 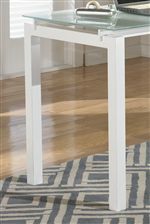 The Baraga collection is a great option if you are looking for Contemporary furniture in the San Fernando & Los Angeles area. 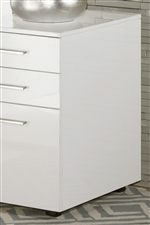 Browse other items in the Baraga collection from Michael's Furniture Warehouse in the San Fernando & Los Angeles area.